Get optimal support from our Fitness Habitat team to achieve your fitness goals! Fitness Habitat, is Adelaide’s only, purpose built, outdoor, open air, under cover group fitness facility. Don’t be intimidated by the look, we run training for all fitness levels. The FH facility operates on 8 week training cycles. Every 9th week is a recovery week - but stay tuned as during the recovery week, we will run a few of our regular timetabled exercise classes for any die hards. Don’t wait for the beginning of our training cycles, as soon as you’re ready, turn up and get started, your first 2 sessions are free of charge (valid in 1 week). Get Tracked, Trained and Educated! The 1st Monday of each new training cycle, we run a different performance testing session. Monday morning at the start of week 8 week, we retest, and post you your results. FH is your one stop shop for health and fitness. We don't just offer 1 genre, there are 5 different disciplines to ensure you have everything you need to get in shape. Check our current Class Timetable. Every 8 weeks we have a different Kickboxing theme, so you will develop different skills with each new cycle. 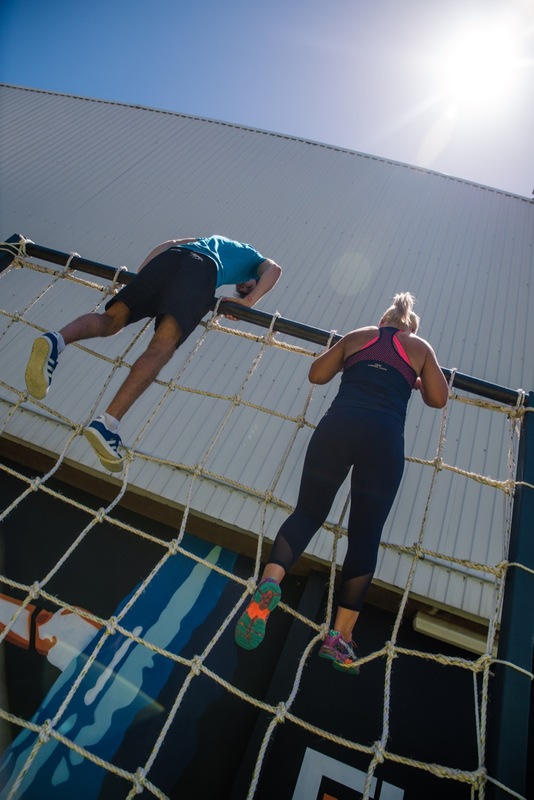 Powerfit 45 and Obstacle Racing class formats change every 8 week cycle too. So you continue to face new challenges, and keep your body continually adapting and improving. Subscribe to our Fitness Habitat weekly newsletter, which has training tips and tasty, healthy, energy calculated meals. Request to be added to our Fitness Habitat Facebook Weight loss group, and get stuck into the short movies which educate you on exactly how to lose weight in a sustainable, safe and effective way. Check out our exercise library loaded with technical advice on training to get the most out of your workouts. Start getting Fitness Habitat Tracked, Trained and Educated today!